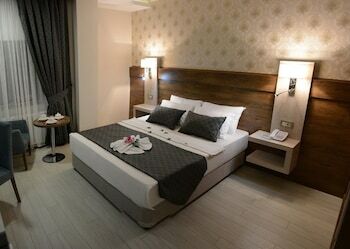 Located in Adiyaman, White Star Hotel is within a 10-minute drive of Adiyaman Museum and Pirin Caves. Featured amenities include complimentary wired Internet access, a business center, and complimentary newspapers in the lobby. A roundtrip airport shuttle is provided for a surcharge (available 24 hours), and free valet parking is available onsite.